Use loose-fitting, chemical-free SHOOFLY LEGGINS™ during fly season to prevent painful fly bites and reduce stressful stomping which leads to hoof damage and leg fatigue. Breathable plastic mesh with sewn-in stays to eliminate sagging. Heavy-duty Velcro ensures durability and wear-ability. Lower edge finished in felt to eliminate embedded wild oats, burrs, and foxtails. Plastic mesh does not allow biting flies (deer, horse, and horn) to penetrate. Design eliminates botfly eggs from being laid. Your horse is under less stress and does not incur leg fatigue and hoof cracks from constant stomping. Greatly reduces the risk of spreading disease. The mesh allows air to circulate, especially comfortable for wounds. 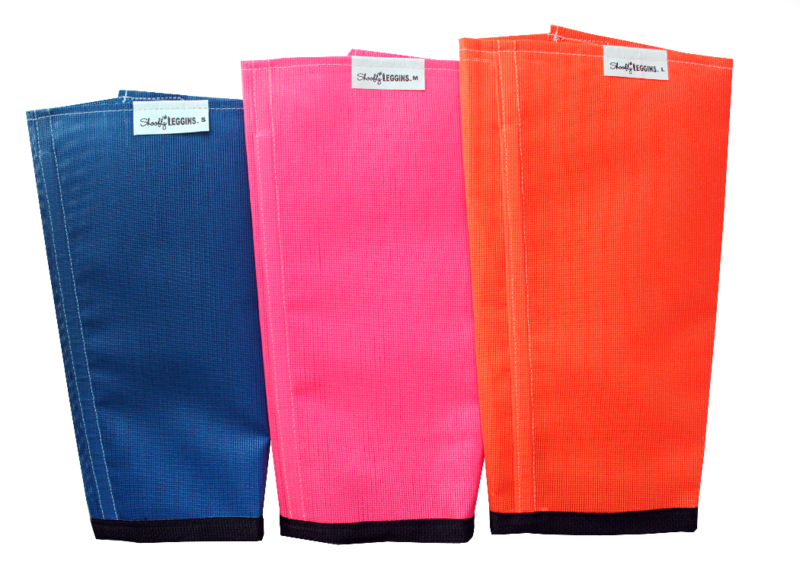 Stone Manufacturing & Supply Company is now the exclusive distributor of Shoofly Leggins, manufactured by Vogeler. In business since 1932 Stone Manufacturing is well known in the large animal supply arena. Besides making a full line of stockmen’s tools, Stone also distribute a number of excellent products made by other smaller manufacturers. By joining forces with Stone, Vogeler Manufacturing now has the Stone’s international distribution network at work for them. I have used Shoofly Leggins for the last 3 1/2 years and have found them very useful at the Veterinary Clinic. Horses tend to stand much quieter during foot or leg procedures when these leggings are used on the other limbs. Inflammation is reduced on horses’ feet due to reduced stomping when used routinely in corrals or small pastures. Shoofly Leggins is the best product I have found to protect horses against flies. As a farrier I use them on every horse to reduce stomping. By reducing stomping I can work around the horse faster and more efficiently. My clients have seen less damage to hoofs, better wear on the shoes of performance horses and prevention of botflies and insect bites. These boots do not sag or restrict mobility, they can be worn in stalls or pasture and will stay on to protect your horse’s legs. Check out our Testimonials and Reviews page to see what many more people have to say about Shoofly Leggins! Do you have a happy horse using Shoofly Leggins? Write your Leggins review on Facebook. Find the Review button on the upper portion of our Facebook page.